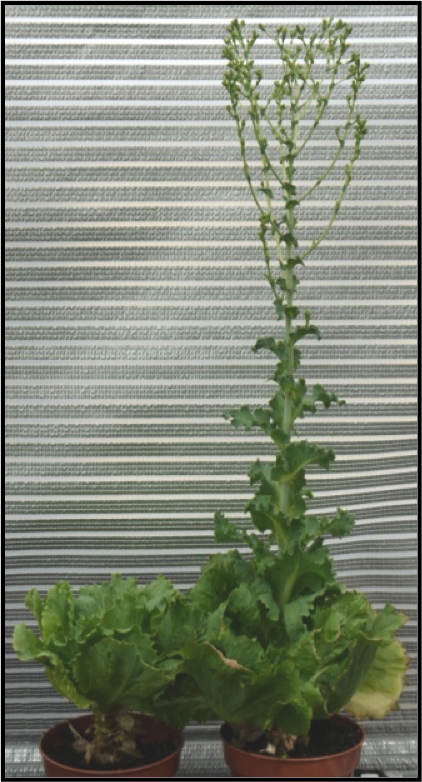 Premature bolting (flowering) of lettuce before it is harvested is a major problem for growers as secondary metabolites are produced in the leaves which give the lettuce plant a bitter and unpleasant taste and render the crop unsaleable. Delayed bolting is a desirable trait in commercial lettuce varieties as it preserves the quality of lettuces sold for consumption, and increases sustainability by reducing wastage. This project exploits the knowledge of molecular pathways controlling flowering gained from model plants, and the large amount of genomic resources that have recently been developed for lettuce (eg. an extensive EST collection, an oligonucleotide tiling array of 35,000 unigenes, and a TILLING population) to identify genes controlling bolting time in lettuce. We can then either induce novel variation, or discover natural variation in these genes that can be used to delay bolting in lettuce. i). The identification of lettuce genes controlling bolting time. These may be completely novel genes controlling bolting/flowering time, or homologues of known flowering time genes. ii). 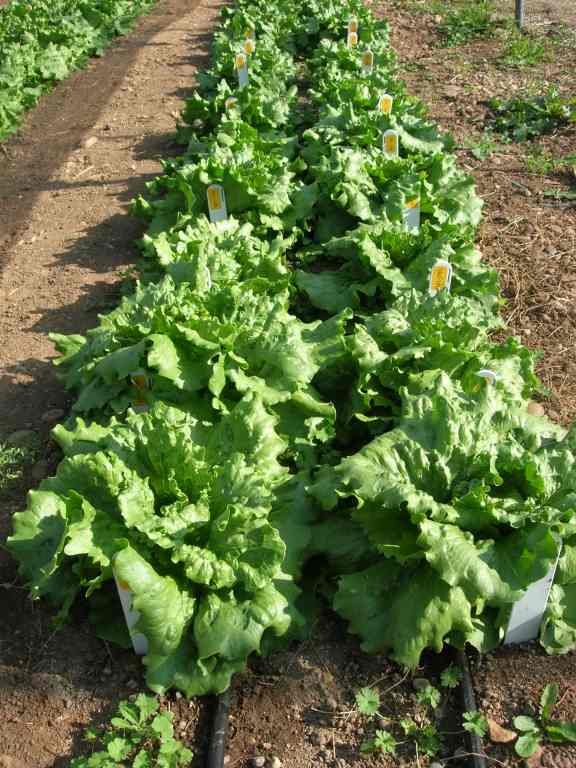 The creation of late bolting lines in a modern iceberg lettuce cultivar which can readily be incorporated into breeding programmes to generate new varieties with greater holding ability. Below is an example of a late bolting line that we have produced which will have greater holdong ability in the field. This line will be incorporated into breeding programmes for improved commercial lettuce lines.